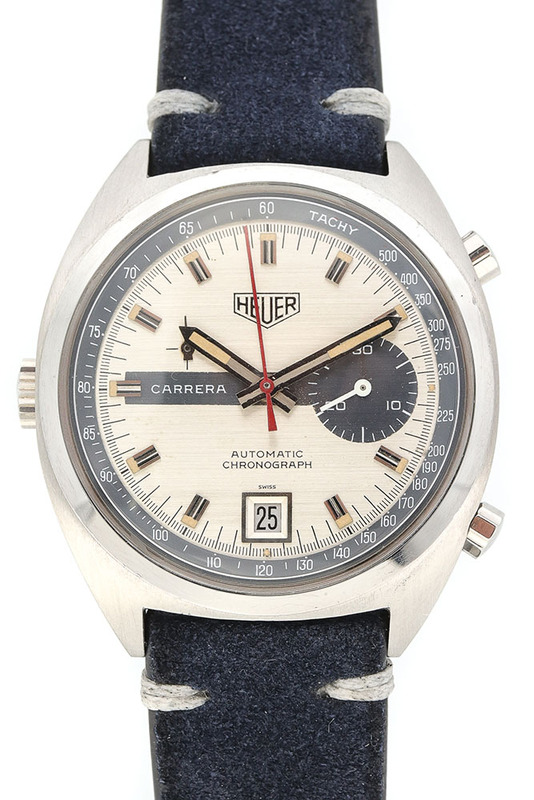 Truly a “best in class” example of the Carrera reference 1553S. 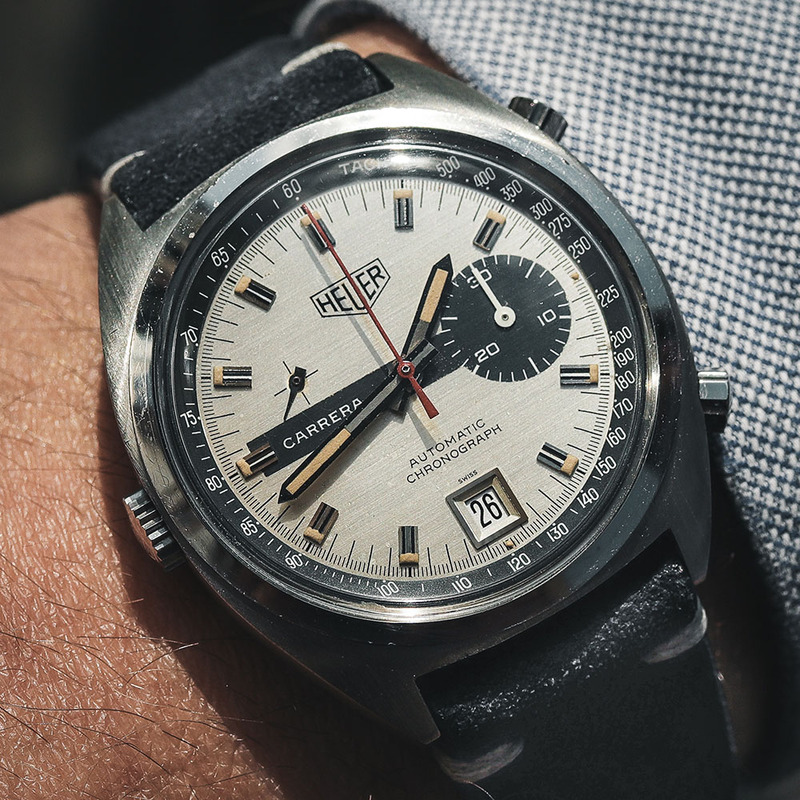 Heuer was one of the companies seeking to develop the first automatic chronograph and as part of a coalition with Breitling, Hamilton, Dubois-Depraz, and Buren, introduced the caliber 11 in 1969. 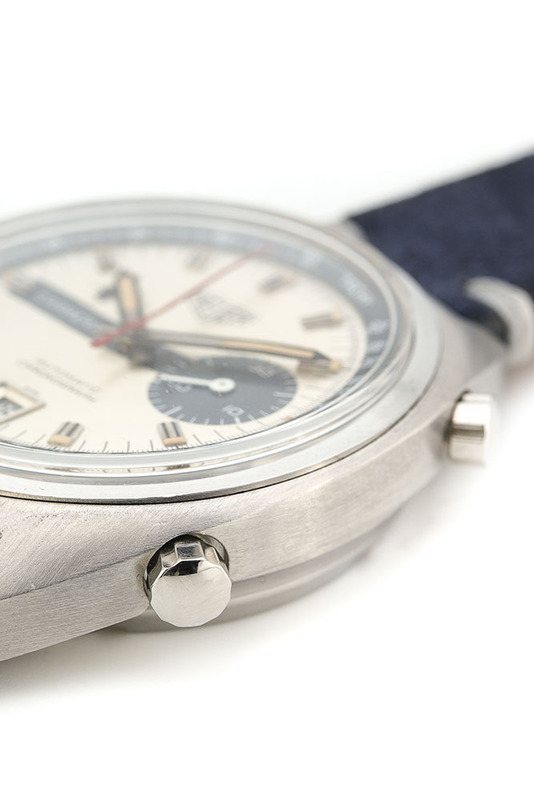 Two years later, Heuer introduced the successor movement, the caliber 12, with some slight improvements over the caliber 11, including beating at a higher rate. 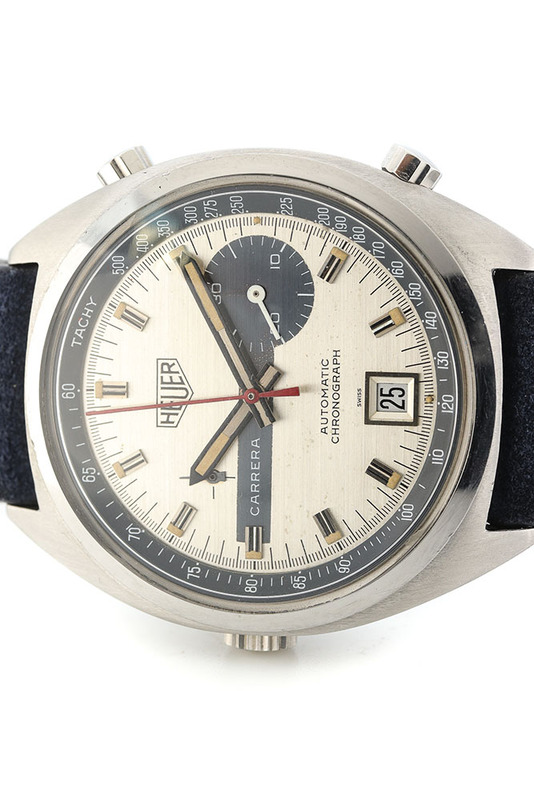 Heuer then wanted to introduce a slightly more economical movement and introduced the caliber 15 in 1972. 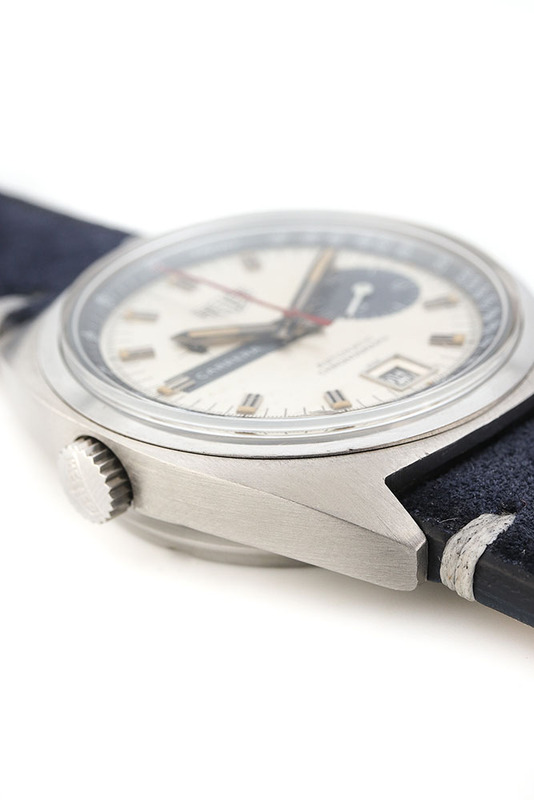 This watch has the famous asymmetrical layout with the running seconds placed on the left side of the dial at a level above the minutes register found on the right side of the dial. Today, some prefer being able to look at their watch and see that it is running versus the caliber 11 and 12 movements that do not have a running seconds register. 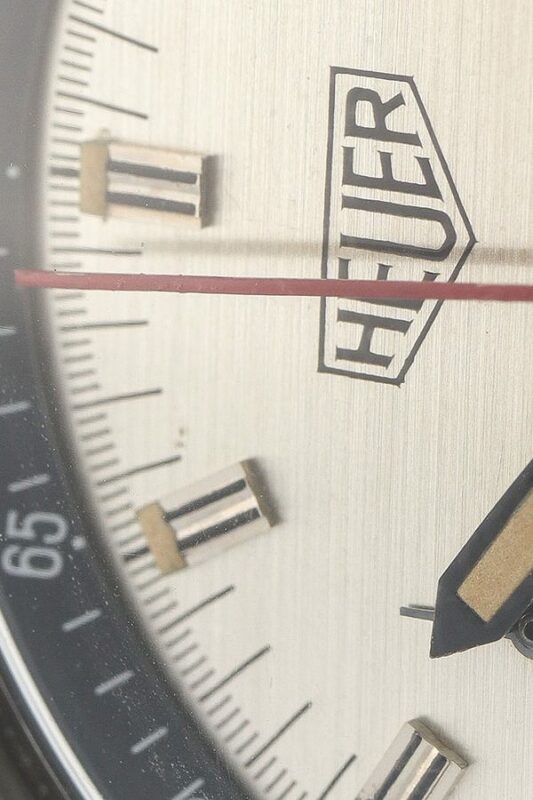 This watch is a stunning and mint example of a Heuer chronograph from the 1970s. 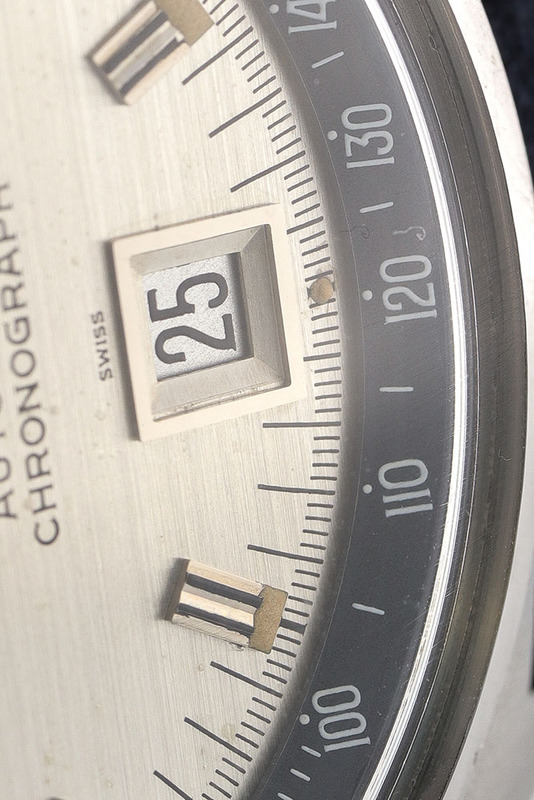 Tags: Automaat, Tritium, Chronometer, Staal, 39mm.